Pinot Noir Rosé has two distinct identities. One personality is that of a flirtatious, welcoming and social quaff that refreshes and casually satisfies as well enhances the enjoyment of many foods. A contrasting second personality is that of a wine begging to be taken seriously by the wine cognoscenti. 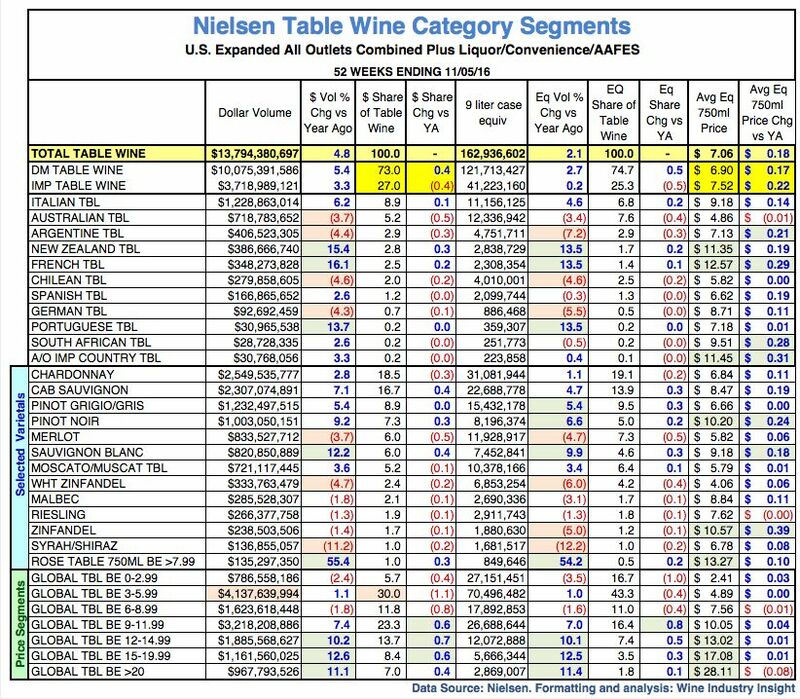 There is no question that Rosé wines have shown more growth in popularity recently than any other varietal as shown by these Nielsen statistics for U.S. retail wine sails the the year ending 11/05/16. The wine is affordable, easy to like and consumers are currently attracted to it in its dry form, while sweet forms such as white zinfandel are losing popularity. The French, who know a thing or two about wine, can’t get enough Rosé, and one out of every three bottles consumed in that country is a Rosé. I would say most domestic wineries offering Pinot Noir Rosé are committed to quality and take their wine very seriously. Certain wine critics, including myself, review Rosé wines like we would any other premium wine since it can be a somewhat complex wine with seductive perfume, tantalizing flavors and refreshing acidity. That said, because Rosés generally lack the nuance, the tannic structure, the concentration and the finish of Pinot Noir wines, I judge them only against other examples of the genre and score them in comparison to other Pinot Noir Rosés. Here are a number of recently released 2016 Pinot Noir Rosé wines (and one outlier) that show the commitment of their winemakers to quality. The wines are, after all, a reflection of the winery’s reputation. There is considerable variety in the types of bottles used for Rosé wines. The wines reviewed here were bottled in various formats, including the traditional sloping Pinot Noir bottle, the tall Alsatian bottle, as well as Bordeaux white wine styled bottles. The wines are noticeably lower in general in alcohol as the grapes are usually picked at a lower Brix. All of these wines are best served chilled. National Rosé day is coming up on June 10. Three new books have recently been published on Rosé: Rosé All Day: The Essential Guide to Your New Favorite Wine, Drink Pink: A Celebration of Rosé, and Rosé Wine: The Guide to Drinking Pink.